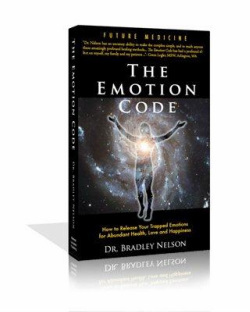 Let me introduce myself... My name is Dr. Bradley Nelson; I've been a chiropractic physician, craniopath, holistic healer and teacher for many years. Since 1998, I have been offering the special healing knowledge that I have gained through prayer, study and practice to others around the country in my seminars. Do you ever feel that you are struggling under the weight of something that you can’t quite put your finger on? Perhaps your life is not turning out how you wanted it to. You may wish that certain events in your past had never occurred. You may even have an uneasy feeling that your present is somehow being held hostage by your past in some vague and indefinable way. In the same way that you cannot see the wind, yet you can feel it’s effects, trapped emotions are invisible and they can exert powerful forces upon you. Trapped emotions can affect you physically just as much as they can mentally and emotionally. It is my experience that a significant percentage of physical illnesses, emotional difficulties and self-sabotage are actually caused by these unseen energies. It has been a goal of mine for more many years to teach people how to balance their own bodies and improve their own health as far as it lies within their power to do so. The Emotion Code is helping to fulfill this dream of mine. It is my sincere hope that you will read it and learn the powerful yet simple healing methods that I teach, put them into practice, and improve your own health and the health of your loved ones. I believe that each of us has a destiny to fulfill, and a mission to perform while we are sojourning on this earth. Illness can stop us in our tracks, and prevent us from living the life we could be living. It is a sacred calling to help those who are ill to recover, not only because of themselves. There is a ripple effect that occurs when someone is healed. Their life, lived fully, touches many others, and can spread out through time and space to eternity. Some of the greatest satisfactions in my life come from teaching people just like you, bringing out the healer in them, practicing the healing art myself, and experiencing the joy that comes from helping others to be well. God bless you on your journey to getting well and becoming the healer you are inside.